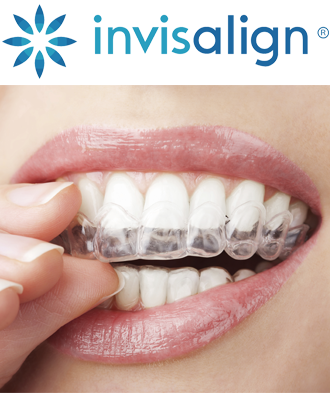 At Denison Dental, we offer free consultations for patients who are interested in Invisalign. If you want to achieve a straighter smile, please schedule a time to visit our practice to learn more about the process. A highly effective form of orthodontic dentistry, Invisalign is the latest innovation within this area and is often preferred over traditional braces for adult patients. 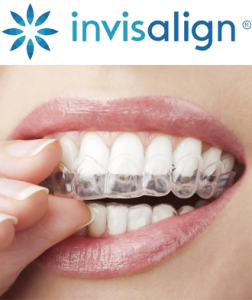 Essentially, Invisalign consists of using nearly invisible aligners, which are removable and convenient to use. These aligners are specially designed for your teeth, and are removed and replaced with a new set every two weeks as the treatment progresses. As your teeth move slightly each week, your Invisalign aligners can support the changes. Invisalign allows us to offer our patients a virtual treatment plan, generated by Align Technology’s unique ClinCheck® software. This plan allows you to see the series of movements your teeth will go through over the course of treatment, and will show you what the end result should be. The data from this software is used to create your bespoke aligners. There are many benefits to choosing Invisalign over traditional braces, the most popular being that they’re almost invisible, removable for eating and brushing, and much more comfortable. 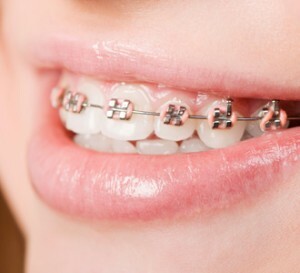 We’ve outlined the key differences between Invisalign and fixed braces below, so you can review the wonderful benefits of this treatment. If you’ve always yearned for straighter teeth but didn’t want the hassle of traditional fixed braces, then Invisalign is the perfect solution. At Denison Dental, you can enjoy all the benefits of this innovative new treatment and achieve the smile you’ve always wanted with very little change to your normal routine. For more information or to book an appointment, please give us a call today. If you would like further information sent to you regarding Invisalign and the ease of straightening your teeth, please fill out the form on the Contact page and we will send you a brochure shortly. We'll confirm your appointment via email, Thank you. © 2019 Denison Dental. All Rights Reserved.